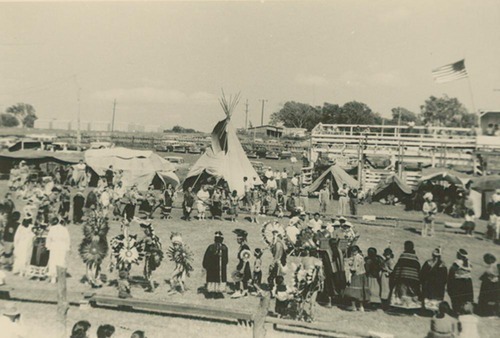 This is a view of a group of Pottawatomie Indian, Prairie Band, dancers. There is a teepee and other tents in the photograph. They appear to be at a fair grounds.